I rarely turn down an opportunity to read a mystery/thriller, and “Deceived” by Reginald Buchanan promised all the elements that draw me to a suspense novel: murder, drama, lies, cover-ups, deception – you get the picture. The story revolves around Joan Witherspoon, a high school senior from the small town of Fall City. After returning home from volleyball practice one day, Joan finds her mother and father dead in their bedroom. Something is not quite right, but the deaths are ruled as the result of medical conditions, both parties suffering from cardiac arrest due to their history of heavy smoking and heart disease. Joan is taken in by her neighbors, longtime friends of Joan’s family. Joan finishes school and moves away from Fall City to start attend college and start her new life. All is well until years later, when Joan becomes a suspect in the deaths of her parents and two other citizens of Fall City. Horrific events of the past begin to surface as authorities try to unravel what really happened. 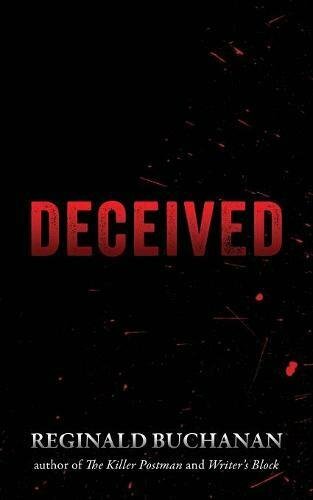 While the story has all the potential of a successful thriller, there are several components keeping “Deceived” from achieving that status, most of which could have been prevented prior to publishing. Primary needs include a thorough edit to address holes in the plot, repetition, consistency issues and the overall structure of the novel. I found very little room for imagination as everything is “told” rather than “shown” to the reader, and the pace drags with details and events not necessary to the advancement of the plot. There are complete chapters that don’t appear to have anything to do with the mystery, completely taking the reader out of the story. Towards the end, the book gets somewhat more interesting and the author does a relatively good job with some of the gruesome details of the murders, but these details were few and far between and did not outweigh some of the significant issues needing to be addressed. Overall, even though the potential for a good story is there, I cannot recommend “Deceived” by Reginald Buchanan in its current form, and sincerely hope the author will take some time to tighten up his plot and address these issues.